Built on open-source LAMP platform which allows for greater security, reliability and rapid development. You won’t be locked into old, proprietary code that doesn’t keep pace with the latest, emerging technology. It is compatible with most browsers including Firefox, Safari and Chrome. User Interface is very intuitive and easy to navigate even for the most novice user. The layout is contemporary, organized, clean and designed to reduce clicks and engage users so they will use the system more consistently. Lead Angel – AutoAccelerator CRM comes standard with Lead Angel Technology. Lead Angels ensure that users use and managers manage your CRM system. You personal Lead Angel monitors usage, lead logging, task management and internet lead response times. She takes note of opportunities for improvement and takes the initiative to contact individual users at your dealership and offer training or support to encourage participation and adoption. Your Lead Angel will also contact management regularly to review her findings, results and suggestions on CRM processes. Complementary CRM Services – With AutoAccelerator CRM, you can leave the database management, follow-up and CSI building to them. You can choose how much or how littlefollow-up you want to handle yourself and they’ll pick up the slack. For example, you may want to follow-up via email and phone on your internet leads and new sales opportunities yourself and have them create, print and deliver your owner-base follow up letters and make your CSI calls. Never heard of AutoAccelerator CRM? That’s not surprising… but that doesn’t mean that they’re the new kids on the block. AutoAccelerator CRM is a subsidiary of Customer Focused Marketing (CFM). They’ve actually been around since 1997, providing best-in-industry CRM services and support to automobile dealers across the country. Gross Profit vs Gross Sales – Can You Have Both? I approached a Sales Manager today and asked him, “When developing a philosophy on how you negotiate your deals, can you have both gross profit and gross sales?” And his answer was yes. But I have to ask, how? If you concentrate on Gross Profit, you’re not going to take a lot of skinny deals which will keep your gross profit per deal high and sales volume lower. And if you concentrate on Gross Sales, you’re going to be taking a lot of skinny deals which is going to make your gross profit per deal less, but increase your volume. It seems the same approach is taken for developing an internet department. Are you going to concentrate on Gross Sales and give away profitability on internet deals, or are you going to concentrate on Gross Profit, and work every deal like a showroom customer? It seems to me like you can’t have both, and you need to make a decision on your negotiating philosophy. Unless you decide, dealerships tend to run into this problem. The dealer will tell the Sales Manager he/she needs to increase sales. So he takes more skinny deals, and the dealer complains that he isn’t making enough gross. This will happen because the philosophy on running the department hasn’t been set so everyone is singing off the same song sheet. What do you think? Can you have both, and if so, how? We all know the saying “what happens in Vegas, stays in Vegas” and that is true for some things. This article isn’t one of them. 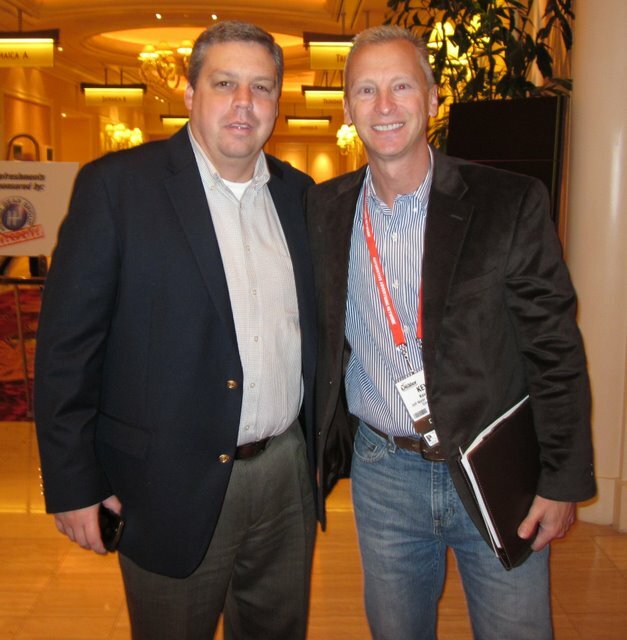 In order to make the list of October 2010 Vegas Rumors (combination of things heard at the Digital Dealer, DrivingSales Executive Summit, and JD Power Automotive Internet Roundtable conferences) Jeff and Alex had to hear the same thing two or more times. We admit that this is all strictly hearsay, but it sure is entertaining none-the-less! Much of this was written during the conferences. DealerTrack was the talk of the JD Power Automotive Internet Roundtable as they didn’t even show up. Could it have been that they don’t like this particular conference? Could it be that they just can’t handle Vegas? Nooooo. It sounds like they were busy making some purchases. At the same time we’ve both been hearing Autotrader.com was buying KBB, so we are going to wait for the press release on this rumor. 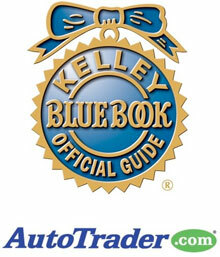 UPDATE: We did just hear that Autotrader.com acquired Kelley Blue Book officicially. Speaking of Autotrader.com a few people said the 3 year old rumor that they’re buying HomeNet is closer to reality. Buuuuut we’ve been hearing this one for a long time. 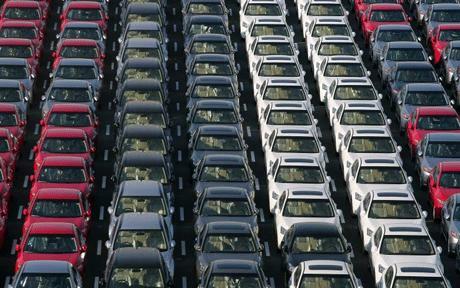 ADP has been in need of a more modern CRM and the rumor-mill says they bought DealerSocket. If that’s true, it is fantastic news for ADP! A few DealerRefresh friends who are close to top executives at DealerSocket say this isn’t true. Again, we will be waiting for the press release. With tax changes coming in 2011 we certainly won’t be surprised to hear more in the purchase territory before the end of the year. First off, we have to ask the question how so many Digital Dealer attendees got spam email from DealerElite.net asking people to sign-up? There were some pretty hefty names thrown around in that email too. Unfortunately one man gets to own this entire section. It is really sad we heard so much around this individual because his conference was actually the best one he’s done yet. And again, neither Alex or Jeff were present for any of this – these are just things we heard. So let’s start off by saying that we heard “the wise asses at DealerRefresh are on probation and I don’t need them to promote my conference anymore.” So Mike Roscoe, we dedicate this section to you. Our “piece of $h1t” buddy Jared Hamilton is completely banned from Digital Dealer conferences. This is the same guy who received the Lloyd Richardson award from Mike in 2008 for being the biggest giver in our space. Way to pay him back! By the way Mike, where is Lloyd? We miss him. Speaking of banishment, another good man, Gary May, caught the wrath of Mike in an email that ended his participation in the conference. Alex got to see it and said it really shows someone’s true colors. The email was in regards to an [email protected] blog post from the Saturday after DD9 recommending that there is still room to improve the Digital Dealer conference for dealers. Maybe Gary will make that email public one day. And in the spirit of how things should be presented to the public, we heard any non-Dealer Magazine media was not fully welcome to the event. Automotive News and Automotive Digest are two who we heard were snubbed. Then we get to the ultimatums. When it is all about the benjamins, competition gets fierce. Many players like getting a paycheck, but also have a lot of passion for the industry too. However one individual seems to think that some of the players should dump everything to only participate in Digital Dealer. 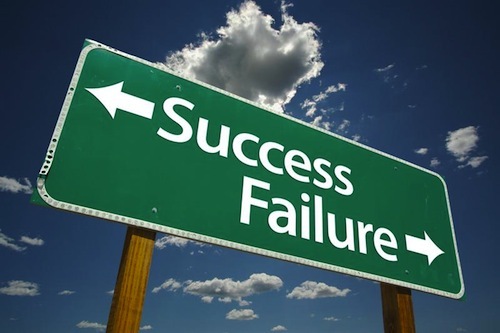 If rumors are true that both Brian Pasch and Joe Webb were told if they wanted to continue participating in Digital Dealer they had to give-up speaking at the DrivingSales Executive Summit or events that would support or build the DrivingSales brand, then that is just a travesty. What happens when you take all the roller coasters out of the theme park? We just want to say that this is the rumor-mill. Always fun! P.S. What is the over/under on when we start getting phone calls about this article? Just as the press was cooling down on the announcement of AutoTrader buys vAuto, AutoTrader.com turns around and has bought Kbb.com (Kelly Blue Blook). The rumors have been flying around for awhile now with several other companies/investors interested – including our beloved investors of Zag.com and TrueCar. Cliff Banks over at Dealer Communications reports that in an exclusive interview with Dealer Communications and the Wall Street Journal, AutoTrader President and CEO Chip Perry and Kelley Blue Book President and CEO Paul Johnson talked about the background and the strategy for the deal. Industry insiders estimate the deal was in the neighborhood of $550 – $600 million and is expected to close by the end of the year. In September Kelly Blue Book made a bold move and dropped AutoTrader as it’s source of advertised dealer inventory and moved over to a Pay-Per-Lead model having it’s inventory powered by Vast.com. With this acquisition, it would only make sense to have Kbb.com’s inventory will once again be powered by AutoTrader. Of course I can’t imagine this being the only reason to buy Kbb.com. What else does Kbb.com have that AutoTrader can find value in? This industries landscape will continue to change, and in a fast way if people make the right/wrong decisions. So here goes… As the title states my question to the ever growing, award winning DealerRefresh community is “What are you doing to make technology easier for the Salespeople we rely on either directly or indirectly for our incomes?” Not more complicated or feature heavy… easier. If you are a Technology Vendor, are you really designing with a car salesman in mind? Or are you adding more and more cool features or reports that in reality are only taken advantage of by a few select stores or more often, select people? Are you living up to the promises made when you sold a dealer your product? Or are you hoping they will just pay the bill and never really take you on as a true partner in their success? Are you providing ongoing training, not only to 1 or 2 people in your dealers but real value add training either in stores or online to the actual salespeople our success rides on? Non-interactive video training doesn’t count. Think Grant Cardone’s Virtual Training that is monitored and tested on if you want to claim you have an online training piece. If you are an Internet Sales Manager, Are you passing down information and really working with your salespeople to make sure they understand all those shiny technology tools that all seem to easy to pay $299 – $2999 per month for? Are you really thinking about the ease and reality of use for the salespeople that sometime get written off or complained about for not wanting to change or “get it”? If you’re not in a leadership role in your dealership, do you realize you need to be and are you taking the steps, reading the books, listening to leadership training and acquiring the mentors that will grow you into the true leader your salespeople need you to be? Or are you hiding information, passwords, access to vendors, shortcuts and techniques needed to maximize the technology you have? Are you allowing, coaching and training your staff on how to be part of your digital culture? Or are you complaining how “old dogs just don’t get it” and recruiting more tech savvy people for their jobs? If you are a GSM, GM or Owner, are you leading your digital revolution? Or are you standing back in denial or watching as “the kid with the laptop” AKA your “Internet Manager” spends your money on technology your people don’t use or know how to use, or worse you can’t use yourself? Are you helping your less tech savvy people get the education that is your job to help provide them? Or are you waiting for them to get on board on their own? Tip… you can provide them video computer skills training with a subscription to Lynda.com for $25 per month, if you’re looking for a good place to start. If you’re a Salesperson, are you really committed to growing your career through the use of technology? Or are you waiting for the “good old days of car sales” that I’ve been hearing about since I started almost 20 years ago to come back around? Hint… it doesn’t get any easier if you don’t do anything progressive to change it. Are you developing positive customer reviews online to help grow your own career, self-esteem and Digital Footprint? Or are you not asking because “you don’t get paid for that” or “those reviews only help the dealer, not the salesperson”? We all know that ease of use and time involved are the 2 biggest factors in getting the salespeople that put in the hard work and long hours that give people like me the time to write blogposts as well as the income to provide for my family, but do we all think about their time and money when we design or add new tech for their “productivity”? I think most of us know we could improve greatly. Finally… Are you picking up what I’m putting down? What is the difference between networking and partying? One is a business expense that can be written off… Wow, just returned from the most successful Digital Dealer conference yet, and all of that “networking” has worn me out. I cannot complain, as my lead photo for this review is of the final day of the conference when I ran into Cliff Banks with Dealer Communications as I was getting ready to leave for the airport. Myself with the dark circles under my eyes? Or Cliff, who was working 24 hours a day during the conference? 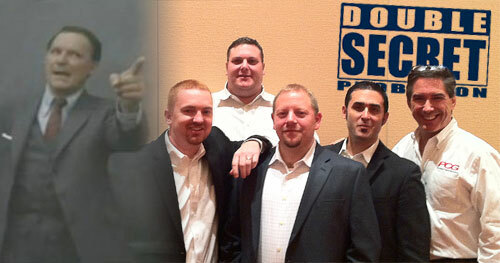 Congrats Cliff, Digital Dealer 9 was the largest and most successful conference yet! I met The Great One! No, I’m not talking about Jeff Kershner, but Wayne Gretzky. I arrived Sunday morning to participate in the VinSolutions Dealer Advisory Board, and several of us decided to watch the NFL games at Lagasse’s Stadium at The Palazzo. While sitting there, Shaun Raines pokes me in the side to show me who sat next to us – Wayne Gretzky! Too cool. There were actual multiple celebrity sightings with DD9 attendees, including Kobe Bryant and the entire Lakers team staying at the Mirage, as well as Eva Longoria, the Kardashian sisters, and more. Who knew Digital Dealer would attract such famous celebrities??? I’m not sure where to begin and I guess that’s what took so long to post this. What an honor. Last Monday YOU/WE/ALL of us here on DealerRefresh were rewarded the readers choice AWA Lighthouse Award for best online content and community given out by PCG Digital Marketing. The award was presented during the 3rd annual Automotive Website Awards breakfast ceremony in Las Vegas. A big thanks to Joe Pistell for being there to accept the award on behalf of the community. When Brian said he was going to do this, I thought – that’s cool, it will be great to recognize all the hard effort we ALL place into running each of the industry online communities and publications no matter who would win. Many are done on a shoe string budget and for no real reason than to better our industry. I’ll be honest, I wasn’t sure if DealerRefresh would win. I’m not naturally a very competitive person (I compete with myself more than anything), so other than the posting of the survey here on the blog and in the forum, we didn’t push it. We didn’t solicit for votes via email nor ask people to vote for DealerRefresh. We merely asked everyone to vote, just vote. So for DealerRefresh to win was straight up AWESOME and truly speaks volume for our community and all the hard work. As I said up there, YOU/WE/ALL of us here on DealerRefresh were rewarded Monday. Without YOU, DealerRefresh would not be what it has turned out to be. If you have YET signed up to be part of the DealerRefresh forums – what are you waiting on? It’s time to do it! Congratulations to YOU! And thanks for voting. (RUMSON, NJ) PCG Digital Marketing today announced that Alex Snyder, contributing writer on DealerRefresh.com, was chosen to receive the 2010 AWA Lighthouse Award (AWA) for his online contributions to the automotive industry. The awards were presented to the leading automotive website companies and members of the online community at the AWA breakfast ceremony in Las Vegas. 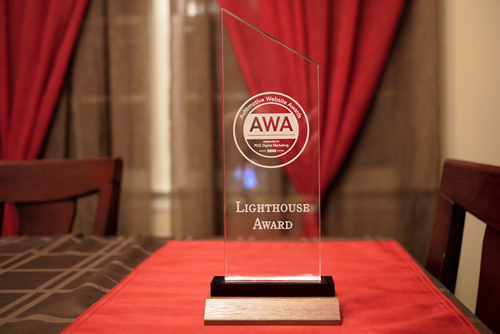 The 2010 AWA Lighthouse Award is given to members of the automotive industry that have made significant contributions on automotive website communities. The award was inspired by The Go-Giver, a powerful book written by Bob Burg and John David Mann. Alex Snyder’s service and leadership in the automotive community was recognized additionally with a Go-Giver Award and personal video message broadcasted at the AWA breakfast from co-author Bob Burg. This year’s J.D. Power Automotive Internet Roundtable event will be held at the Red Rock Resort from October 20-22nd. View the agenda. I have heard there are over 900 registered attendees who range from OEM’s to larger dealer groups. The JD Power Roundtable is one of my favorite events because it is mostly made-up of panels: 1 person moderating 3 to 5 panelists. This kind of environment pushes people off their intended responses, occasionally, which leads to more spontaneous answers – the kind you like to hear. JD Power’s event is also not 101 so it isn’t for everyone. It is assumed that each attendee has a good understanding of the topics being discussed. On top of it not being 101 it is also geared for big spenders: OEM’s, Ad Agencies, Vendors and Large dealer groups. Can a single-point or small dealer group get something out of this JD Power event? Absolutely! They just need to keep in mind that the usual perspective is a bit higher-up in the consumer’s purchase funnel where it takes big money to advertise. But there are some great stories that can be taken and implemented at any level, and there are few opportunities to network with so many people from this level of the industry. This will be my first J.D. Power event as a vendor, so I’m assuming I will get called into some meetings here and there. On top of that there are some meetings on my calendar already…..what I’m trying to say is if you don’t catch me attending one of these panels I’m saying I want to attend, don’t hold it against me.